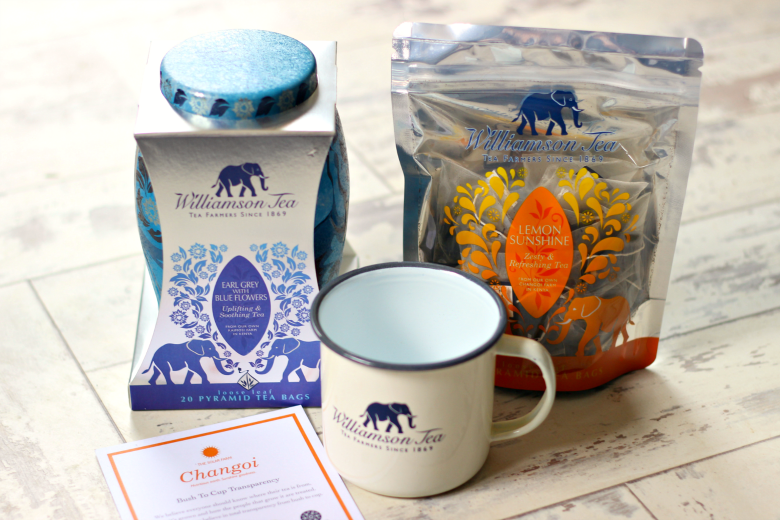 Over the past few months I’ve become quite a fan of trying new teas and enjoying different flavours so when Williamson Tea asked if I’d like to try their latest blend, Earl Grey with Blue Flowers, I couldn’t have been happier to try it out! 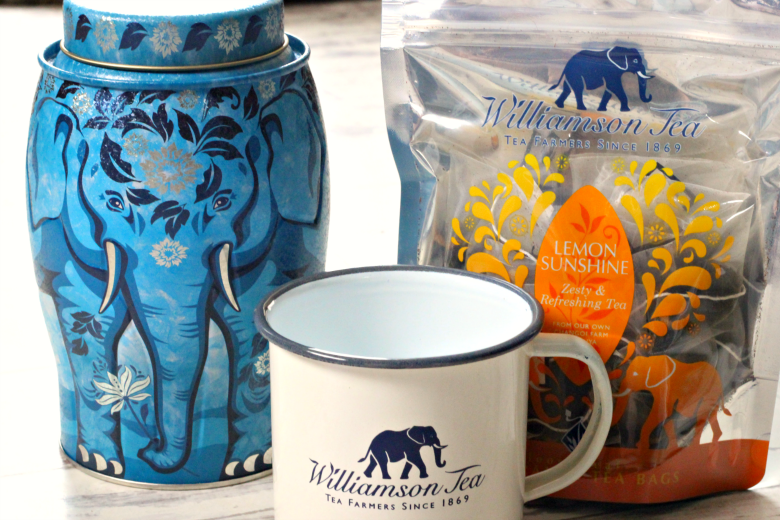 Earl Grey with Blue Flowers* is the latest addition to Williamson Teas delightful collection of teas. Williamson Tea are committed to growing sustainable high quality tea which benefit Kenya, it’s environment wildlife and communities. All of their teas are grown within their farms, if you fancy learning something new take a look at their website and read about the farms. It really is fascinating! 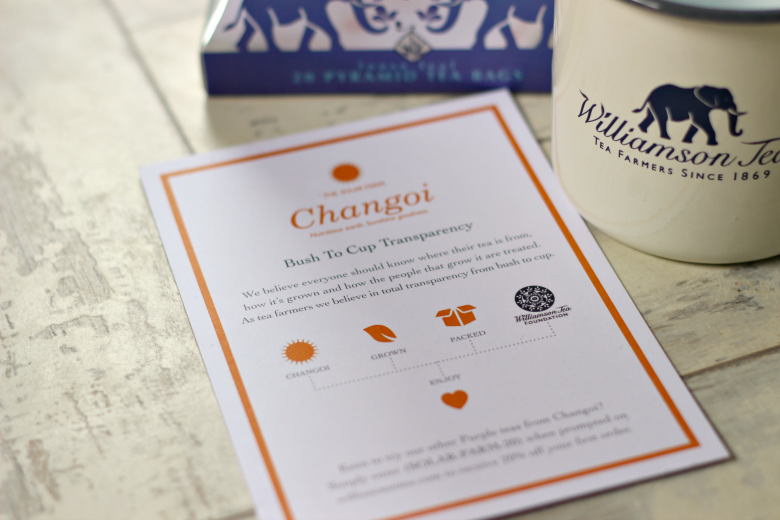 Williamson Tea stand by their own Bush to Cup transparency meaning you’ll always know the origins, how each tea leaf is grown and produced. Not forgetting keeping the carbon footprints down by not needing to transport teas around the world for production. 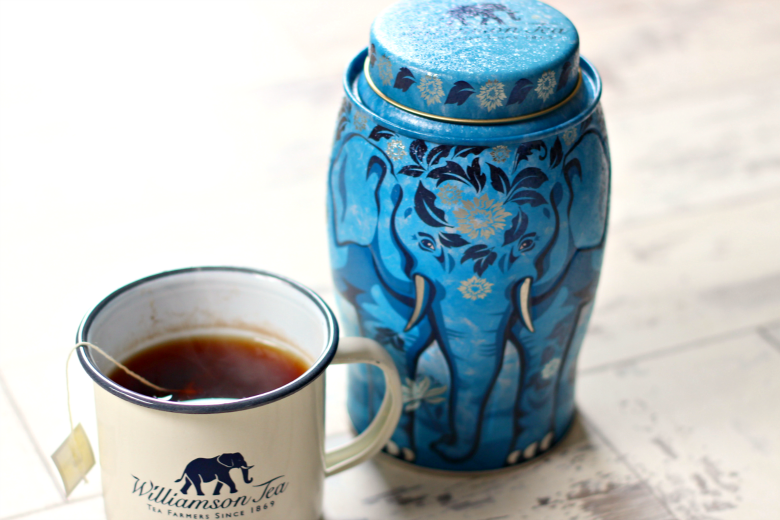 The Earl Grey with Blue flowers comes in this really sweet Elephant caddy tin. For every caddy sold £1 is donated to The David Sheldrick Wildlife Trust, who support the welfare and conservation of elephants, rhinos and the wildlife in East Africa. But back to the tea.. The Earl Grey with blue flowers brews perfectly in just a few minutes. It has a lovely typical ‘Earl Grey’ scent with floral notes and sweet orange. It’s surprisingly relaxing, I’m not usually a fan of Earl Grey, usually finding them to be quite bitter but this had a delightful fragrant and strong taste. I do like a stronger taste tea to subtle ones. Along with the Earl Grey, I got to try the Lemon Sunshine*. I am a huge fan of lemon flavoured teas, especially when I’m feeling under the weather. I like to add a little honey or even a knob of ginger to a mug or teapot and infuse it for a longer time to get the flavour out. 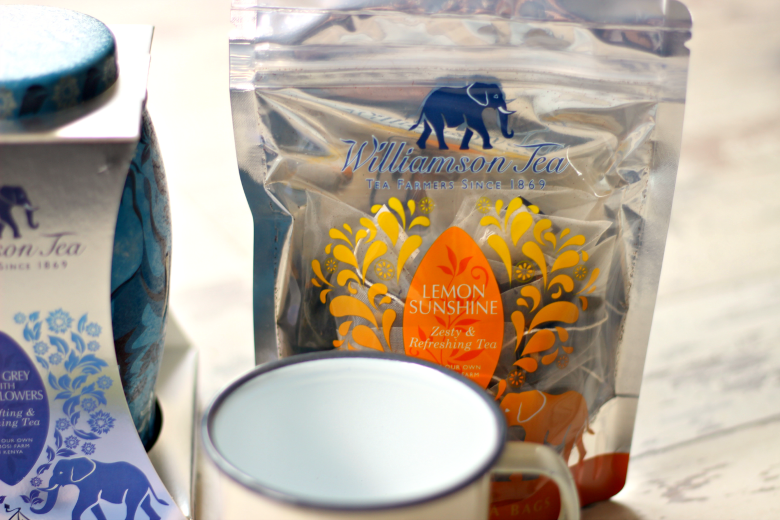 *Williamson Tea kindly gifted these products in exchange for this review. All opinions are my own. I start with a green tea in the morning and I can’t live without it! Lemon sunshine sounds delicious!